I can resonate with you on the similar black and white films being played around midday every weekend as a kid! You’ve made some interesting points about the film, especially making connections to the 1985 film Pulgasari. With multiple modern tropes spawned from this film, you can see why Godzilla holds such an importance in the global film genre. Lovely post highlighting your own experiences with the Kaiju form of films and your own ethnographic understanding of Japanese culture and their involvement in the war. What I found interesting is how you mentioned that understanding the context of the film is important to having a good viewing experience of the film. I believe you are correct in saying this. It can be proven from the twitter feed that without the proper knowledge of a texts context and cultural baggage, that viewers will resort to satire and ‘memes’ as content which they curate (myself included). This article (http://mediashift.org/2016/07/live-tweeting-news-risks-rewards/) goes through the idea of live tweeting as a form of understanding a franchise or text and the risks that come along with it. In our circumstances, we needed more then just live tweeting to understand this text. I also felt quite bad after creating tweets poking fun at the film when it was meant to be serious, horrific and terrifying for Japanese audiences. It will make me think twice about judging a film by its quality and age. This brings up the question of whether Japanese viewers in the modern day would resort to the same form of tweeting as the #digc330 class in Australia. Would they know the stigma or context of the film? Because it is such a powerful metaphor about their history, I would be surprised if they’re reactions towards the film were not different. 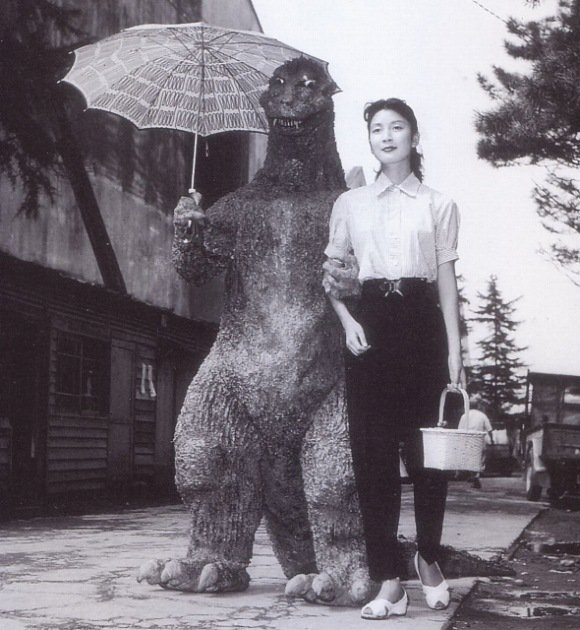 It’s interesting that watching ‘Gojira’, which is essentially a B-movie and is typically produced solely for entertainment , is so much rewarding when understanding its historical and cultural context. Although my approach to the film was much more related to the film-industry side, I do agree with your interpretation regarding the metaphor of the U.S. as the villain in ‘Gojira’. Great post! One of the most interesting parts of viewing media from Japan is that it gives us as Westerners a perspective that we may have never considered before. How often in modern media are America’s armies and war efforts praised or portrayed as the heroes? However, it’s interesting to note that post-Hiroshima Japan doesn’t portray America as the “big baddies”; rather, it’s the bomb and the war itself that’s been turned into a monster. America is never openly stated to be the enemy in the film (to my recollection) – only heavily implied if you understand the context. It’s incredible how an understanding of its origins changes the film’s depth completely.